Saddler has responsibility for brand, marketing & communications and sustainability, plus aspects of store design and menu development, for ‘naturally fast food brand’ LEON. Kirsty joined LEON, which has 44 UK stores and one in the Netherlands, in a part-time role in September 2015, so that she could spend time with her two young children and maintain other interests. She has since doubled LEON’s marketing team from three to six employees in a year, launched six new menus, introduced compostable coffee cups, switched all LEON stores to 100% renewable energy supply, and is working with a start-up, Bio-Bean, to create biofuel from coffee grounds. Saddler has also worked with John Lewis to launch a 40-piece LEON cookware range, with plans for further collaboration with the retailer in 2017. Futerra was founded in 2000, and Shea joined in 2003 as an owner and director. She has since grown it from a start-up to a global change agency with four offices and 60 people. Futerra creates sustainability strategies and campaigns for some of the world’s biggest brands, including Nike, Coca-Cola, Unilever and more. Shea returned to work in 2015 after the birth of her daughter, and since then the agency’s turnover has doubled by focusing on client development, international growth and hiring the best talent. She and her team help Futerra’s clients to turn the sustainability imperative into entrepreneurial opportunity. The firm is majority female owned and led, and is proud to be a socially-sustainable B Corp.
Stilwell is responsible for developing EY’s people strategy, leading talent recruitment and creating an environment that develops the potential of the firm’s 14,500 people. A chartered accountant, she is also an acting fraud investigation & dispute services (FIDS) partner for the firm, with over 20 years’ experience assisting clients in litigious situations. She began working part time in 2000 following the birth of her first child and was promoted to director, then partner in the FIDS practice, then to the senior leadership team, all while working four days a week. Stilwell’s latest promotion is to EY’s equivalent of a board position, elevating her to a prominent leadership role within the firm’s global network. Sunshine has led the strategy development and execution of marketing plans for many of Johnson & Johnson’s leading healthcare brands across northern Europe. She started working four days a week eight years ago following the birth of her first daughter. 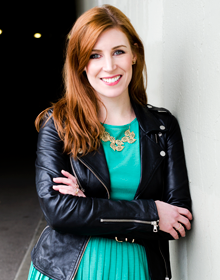 Sunshine is an energetic marketing leader and her ability to develop strategies to meet consumer needs has helped deliver a number of award-winning campaigns, and also promotions across several brands. Her team was previously named northern Europe team of the year, achieving a platinum award for a new business model that drove category growth and record share gains within the pain relief market in Sweden, after years of stagnant growth. 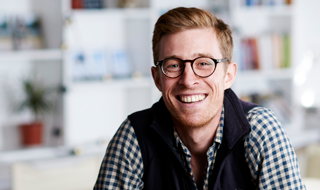 In 2010 Symington co-founded Escape the City, a global community with more than 250,000 members that aims to ‘reinvent careers so that they power human flourishing’. Escape the City currently operates two business units with a joint turnover of £1m: a recruitment business working with progressive organisations, and an education business that helps to guide people through career changes and start-ups. Symington has recently made the transition to a two-day working pattern after becoming a father for the first time, and in response to his own ‘burnout’ from working almost seven days a week for the last three years. He now devises strategy and thought leadership, writing articles, essays and a new Escape the City book. Waite is the partner for Irwin Mitchell’s Bristol Court of Protection office. 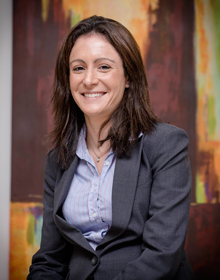 She specialises in the field of damages management, assisting individuals to manage their personal injury or clinical negligence compensation, either through the Court of Protection or by way of a personal injury trust. She also advises professional and lay deputies and trustees on many varied and complex high value cases. Waite joined the Bristol office of Irwin Mitchell LLP shortly after it opened in 2010. 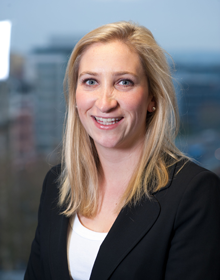 She was promoted to Associate Solicitor in 2012 and Associate Manager in 2013, and became a Partner in 2016. Wall manages around £2bn of pension assets at the Pension Protection Fund. She is responsible for gaining buy-in from a range of stakeholders and presenting to board committees. She joined the PPF in August 2015 on a part-time contract, to enable her to balance work and time with her two children. Wall’s son has high-functioning autism; working flexibly allows her more time to liaise with his teachers and medical team, and provide him with additional support. Since taking on the role at PPF, her portfolio has more than doubled in size. 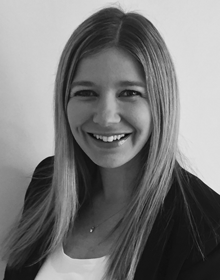 With 17 years’ experience of City investment roles prior to joining PPF, she has established herself as the team specialist in fixed income credit markets and is playing a key role in the organisation’s move to insource part of its fixed income investment activities. La Trobe Weston has two significant roles at leading financial services firm Morgan Stanley Investment Management. 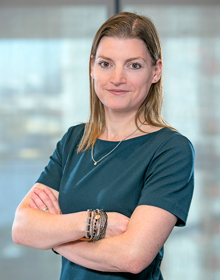 As part of its global credit research operation, she runs a London-based team of six analysts and is responsible for trade idea generation across a range of sectors. Secondly, she is co-Portfolio Manager on the firm’s European Investment Grade Credit (IG) fixed income funds, managing around $6bn of assets in Europe and contributing to multi billion dollar global strategies. Viewed as a trailblazer in an industry with few female investors, she began working part time over eight years ago, on return from her first maternity leave. She has since been promoted several times, consistently winning new business, growing assets and delivering strong investment return for her clients. 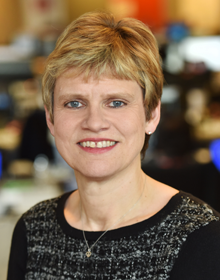 Williams leads the technical and engineering teams of BBC News, managing a multi-million-pound budget. She is responsible for creative daily news gathering for major global stories and oversees more than 200 employees in the UK and abroad, who are deployed to deliver some of the world’s most-consumed news reports. 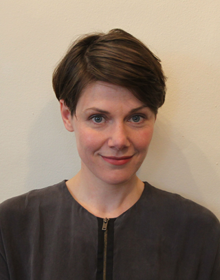 Over the last 18 years, since the birth of her first son, she has worked flexibly for the BBC in a number of roles, including job-sharing the roles of UK Assignments Editor and Deputy UK Editor. Williams recently led a restructure of the operations team for a more digitally-focused output and built a more diverse management team. 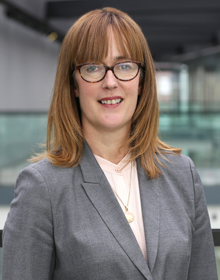 She is an advisor and mentor to others looking to work flexibly within the BBC and has inspired creative working solutions across the organisation. Winmill was headhunted to establish Notonthehighstreet.com's Corporate Communications function, reporting to the CEO. From the outset, she negotiated a flexible working pattern, which includes three days working in the office and one from home, enabling her to spend more time with her young daughter. 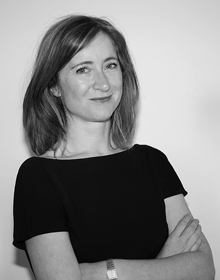 Formerly a corporate communications specialist at Matthew Freud’s eponymous consultancy – where she was instrumental in establishing ‘Black Friday’ in the UK for ASDA – Louise has also worked in-house at L’Oréal, looking after external communications and CSR including the L’Oréal-UNESCO For Women In Science programme. Throughout her career, Winmill has worked to protect and grow the reputation of some of the world’s best-known brands including PepsiCo, Intel, Samsung and LinkedIn.